So states the lovely recruiting poster seen above (click picture for larger version). 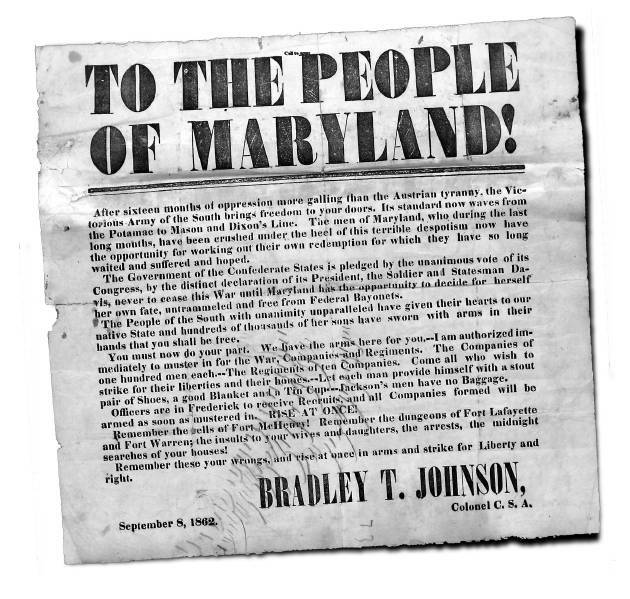 It was issued by Maryland Confederate Colonel Bradley Johnson on his arrival in Frederick, Maryland on 8 September 1862. Today’s Frederick News-Post features the historic document in an article about the Museum Shop, Richard and Vicky Kornemann’s art sale and conservation business in Frederick. I hope the document’s owner will make it available for public viewing–it looks like a great piece.